Sui Generis--a New York law blog: Legal blogging isn't dead, it's just changing. 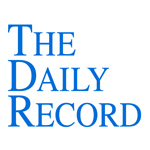 This week's Daily Record column is entitled "Legal blogging isn't dead, it's just changing." I’ve written quite a bit about legal blogging over the years. Since 2006, I’ve been following legal blogs, tracking the trends and predicting the future of blogging for lawyers. Last summer, I concluded that legal blogging, while not dead, was changing, in large part due to the influence of social media. Social media sites have replaced some of the functions of blogging, since many such sites are more effective at achieving some of the benefits blogging used to offer, such as professional networking. On the flip side, social media sites provide newfound and very effective forums for promoting blog posts. A recent report (http://www.pewinternet.org/Reports/2010/Generations-2010.aspx) issued by the Internet and American Life Project at the Pew Research Center supports my conclusions. According to the report, for the younger generation, blogging is being replaced by posting on social media sites such as Facebook and Twitter. In comparison, the older generations, always the last to latch onto new trends, are finally beginning to blog. Blogging increased 2% for 65-73 year olds. These statistics are striking for any number of reasons. First, for the older generations, the increase in blogging is only between 2-6%, which is, all things considered, a fairly small increase for a 2 year time frame. This is so especially given that the use of social networking sites increased between 12-32% for those same age ranges during the same time frame. Also significant is that blogging is decreasing for the younger generation. This matters for two very important reasons. First, this generation’s behavior is predictive of the general trends regarding the use of technology in the future, so more likely than not, two years from now, blogging will decline amongst the older generations as well. Second, 18-33 year olds are the consumers and business people of the future. For that reason alone, their habits and choices are important. Businesses need to understand this generation and will want to be present online wherever this generation spends its time. Of course, just because members of generation are choosing not to blog, doesn’t mean that they’re not reading blogs. As I’ve oft repeated, blogging is not dead, it’s simply changing. People will continue to read and consume blog posts. However, one trend that I think will become more evident over the next year or so is that individual blogs will decline and group blogs will become the blogging standard. Many individual blogs will continue to succeed, but group blogs will dominate. This is because group blogs provide more varied content, different viewpoints, and draw in more eyes, since the individual bloggers can promote the group’s blog across their own social networks. For lawyers, the most effective group blogs will consist of blog posts from geographically diverse lawyers focusing on the same practice area, such as criminal law, environmental law or personal injury law. Generally speaking, group blogs from lawyers within the same firm are far less effective, in my opinion. Often, these types of group blogs consist of posts drafted by associates who are required to post and thus have no true passion for their subject matter. For that reason, these types of group blogs tend to fall flat. And, it’s passion that separates the good blogs from the bad. If you enjoy writing and have a passion for the topic about which you are blogging, your blog, whether it’s a group blog or an individual one, will be a success. Passion is the key element; if your passion shines through, people of all ages will want to read, discuss and share your blog posts. And, after all, isn’t that the point of blogging in the first place? I agree, and I'm not sure whether it's a good thing or not. The allure of Twitter is the ease and quickness with which you can pump your thoughts into the (micro) blogosphere. Lately, I have only blogged when I couldn't make the point sufficiently in a Twitter post. Thanks for your post. I have enjoyed writing my legal blog, www.VaLocalityLaw.com, and have found that posting that content to Twitter (@AndrewMcRoberts and @VaLocalityLaw) and other social networks has been an effective way to reach the audience. You're right: Legal blogging is not dead, it just has gotten socially networked! 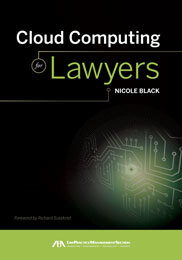 Niki, what are some good group legal blogs? Most legal blogs I've seen are individual blogs, while sports blogs are almost always group blogs. The group blog works for sports because usually sports blogs have multiple posts per day, so you need the extra man/woman power. This is one of the best blog posts I've read on legal blogging to date. Social media offers many of the same benefits of blogging mainly writer/reader and reader/reader interaction via commenting. Professionals need to monitor where the younger generation reside online to predict future trends. I agree whole heartedly with your point on passion being the key element to a successful blog. Group blogs where associates are required to write definitely fall short. I've watched this happen. I hope legal blogs sticks around for the long haul as it allows for personal creativity and design that social media doesn't quite offer yet. A few that come to mind are Volokh Conspiracy, an old stand by. 3 Geeks and a Law Blog is another good one. Slaw and Lawyerist are two other examples. Blogs with single authors won't go away--and the ones that are well known and have a good following will continue to do well. And of course, a few new blogs with single authors that are unique will do well if the blog has a great voice that people can identify with. But I really do think the future of legal blogging is group blogs. The market is simply too saturated at this point. I hope legal blogs sticks around for the long haul as it allows for personal creativity and design that social media doesn't quite offer yet.The market is simply too saturated at this point.